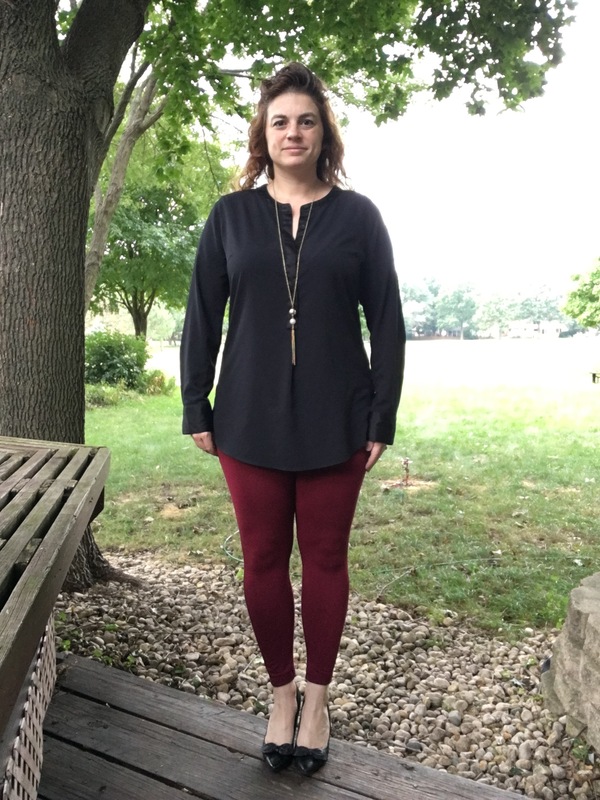 There are things that I really like about wearing leggings as pants: they’re very comfy, they won’t stretch out with wear, and they’re pretty inexpensive so you can experiment with different colors with only a small investment. 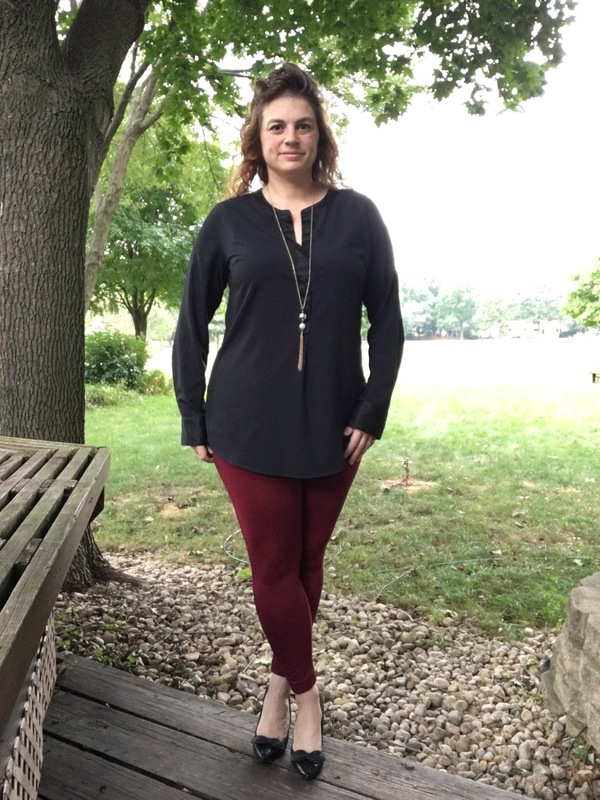 There are some challenges too though: if you wear them with boots, you’re likely to get some pilling that you wouldn’t experience with jeans, they’re not as forgiving as jeans, and (for myself at least) you’re always wearing them with tunic-style tops, which limits your outfit options. So more pros than cons in my book, but leggings can’t replace a great colored jean entirely for me. Where do you fall on the leggings as pants question?